Step 6 of the 7-step Taming Triggers Solution process — Tame Triggers With Requests — offers you the opportunity to reduce or eliminate triggers by making a request of another person, when you don’t have the power to tame a trigger on your own. Keep in mind that sometimes triggers signal the need to set a boundary. 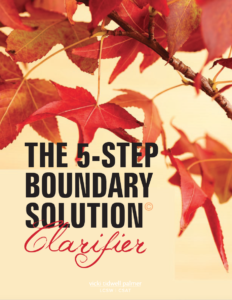 Requests are one method for establishing boundaries with your partner or others. The addict using a computer in an isolated area of your home. I feel anxious and worried when you use the computer in the bedroom. Would you be willing to use the computer only in public areas in our home? Discovering, after the fact, that your partner had lunch with a female co-worker. When I find out after the fact that you had lunch with a female co-worker I feel fearful and angry. I would like to know in advance when you’re having lunch with a female co-worker or supervisor. Are you willing to do that? Your partner traveling out of town for business. Because you’ve acted out sexually in the past when you traveled for business, I would like you to call me every night when you get to your hotel room when you’re traveling for business. Will you do that for me? Would you be willing to . . . . .? Is that something you’re willing to do? Would you call me every night by 9 pm when you’re traveling out of town for business? Rather than: I would like you to call me when you’re out of town. Make demands or issue ultimatums. Refuse to take “No” for an answer. If you can’t accept a no, a yes won’t have much meaning. Before making a request, you may want to discuss it with a friend, mentor, sponsor or therapist to get feedback and guidance. When you’re ready to make a request, find a time when you and the other person are conflict-free. Begin the conversation by telling the other person you would like to talk to them about something and ask if they’re available to talk. If making a request is difficult or a challenge for you, set a deadline, or put some accountability in place to support you. Do you have triggers that could be reduced or eliminated by making a request of another person? If so, make a list of requests you’d like to make, to whom, and a deadline — if needed. If you struggle with triggers—and most partners do—I’d love for you to join me for the next Taming Triggers Solution Online Course. Get all the Course details here.